Cassy, one of my dear friends, asked me on where she should allot her marketing budget for her window covering business on finding new leads. She sought for my help since she felt that her marketing effort only goes nowhere. Despite that her business is already running for almost 20 years, she doesn’t actually feel that her business is giving the results she want. I asked what avenues she previously spent her marketing budget for. She said she had used it for show rooms, flyers and brochures, postcards, cold callings, and many more. Quite the old school stuff – I told her. Though I have nothing against with her chosen traditional marketing strategies, I told her that it’s time to go out in her cave and consider adding digital marketing to her plan. So I suggested her to spend her advertising dollars using Google’s advertising program. If you’re like my friend who’s been inside a cave for a long time, then you might not know that you can advertise on Google. Yes, Google, the search engine. In this digital age, Google Search has been the go-to help of many people looking for the information they need, and of course, for the things they want to buy. Google owns the biggest search engine market share and there are more than 40,000 search queries happening every second which is roughly around 3.5 billion searches per day. So just imagine how many people could see your window covering business if it is advertised on Google Search. Though Google ads look very simple than paid ads in social media platforms such as Facebook, they are actually 56% more profitable – which is actually a very great reason you need to start using Google’s advertising program for finding leads for your window covering business. What is Google’s advertising program called and how does it work? Google’s advertising platform is known as Google AdWords. It works by bidding on a particular keyword that you want your ad to show up. But does that mean that you don’t have any chances on appearing on the ad results if someone bids higher than you for that keyword? Well, not exactly. Contrary to what you might think, Google is not that hungry for money to only favour those who bid or pay higher. Say for example, Advertiser 1 bids $2 and Advertiser 2 bids $4 for the same keyword. Despite Advertiser 2 paying more money, Advertiser 1 gets the top spot on the ad results. Why? It’s because Google also factors in the “quality” and “relevancy” of your ads. If the text in your ads and your ad’s landing page is better than the other advertiser, Google will let you have credit for it. Plus, you will only pay Google if someone clicks your ad, since Google’s advertising model actually follow a pay per click model; hence, you can start with any budget, no matter how small it is. Is AdWords really worth it for your window covering business? You earn more revenue while you pay less. Aside from only paying Google when someone clicks your ad, based on stats, businesses earn $3 in revenue for every $1.60 they spend on AdWords. This only proves that advertising on Google is such a smart choice. Your window covering website will appear instantly in the search results. You see, window covering websites that appear on top of the ‘normal’ search results exerted tremendous optimisation efforts – which can take months or even years. Searching for the keywords “roller blinds sydney australia” on Google, the ads are shown at the very top of the ‘normal’ search results. Looking at the ad results, Marlow and Finch is the winning website that cop first place on the result. However, upon checking MarlowAndFinch.com.au’s real ranking on Google.com with the keyword “roller blinds sydney australia,” it doesn’t have any rank as shown below. But since Marlow and Finch availed of Google’s advertising program, showing instantly on Google’s search results has not been a problem for them. Your window covering website will have more traffic. Since AdWords allows your ads to be on top of the ‘normal’ search results, it naturally drives more traffic to your window covering website. When your website has more traffic, then the more chances you will be able to find new leads. 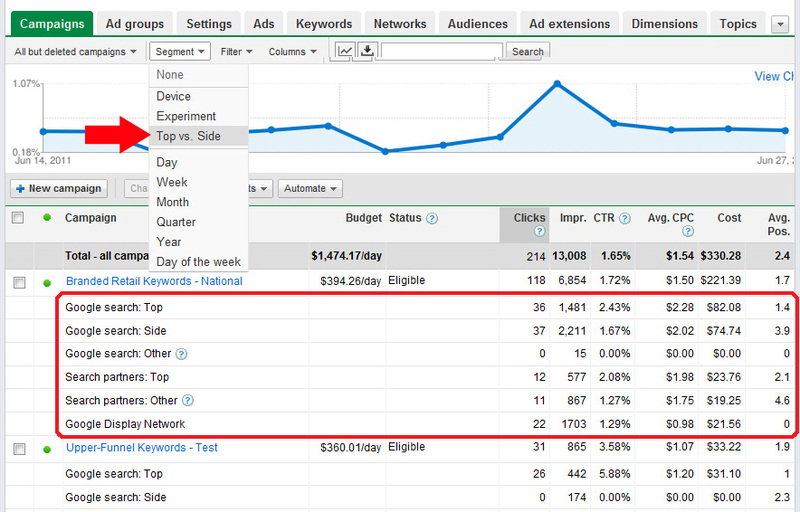 Using AdWords is more flexible in terms of targeting and budgeting. Compared to other advertising platforms, AdWords is more flexible. You can reach your target customers at the right time since you can set up the hours and location-targeting of your ads. Also, if you suddenly want to cut or increase your advertising budget, you can change it anytime on Google AdWords – which is actually more convenient than paying for an advertisement with a flat fee. But why do some people lose money in AdWords? It’s simply because they do not know how to set up their AdWords right. If you are new in AdWords, hiring a professional is a must. But if you really want to up the game of your window covering business, using AdWords can really be a big game changer. Just like what happened to my friend. Cassy was so amazed how AdWords worked for her window covering business well. I helped her create an AdWords account and set up a campaign plan. She never thought that going beyond her previous advertising platforms could bring her to such heights. Google AdWords is definitely one of the best advertising platforms to utilise when finding leads for your window covering business. But if you are still in doubt whether AdWords is best for your business or not, you may want to download the following guide to answer your most pressing question.